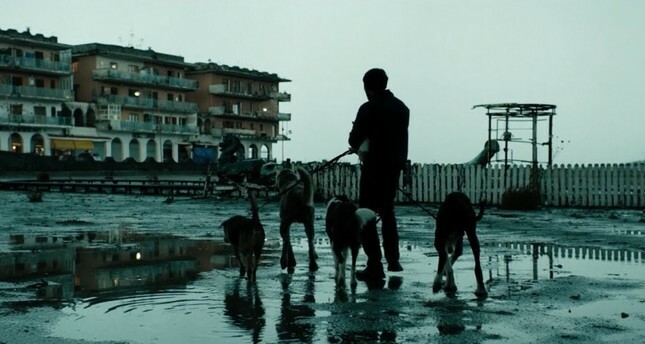 Directed by Italian director Matteo Garrone, "Dogman" reflects the story of a dog groomer who remains in-between good and evil and loses his innocence while trying to gain his honor back. The film was written by the master director Garrone with Ugo Chiti and Massimo Gaudioso, features Marcello Fonte, Edoardo Pesce, Alida Baldari Calabria, Adamo Dionisi and Aniello Arena. Written and directed by Yılmaz Erdoğan, the sequel film "Organize İşler: Sazan Sarmalı" ("Magic Carpet Ride 2") stars him in the lead role. It also features Kıvanç Tatlıtuğ, Ezgi Mola, Bensu Soral, Rıza Kocaoğlu, Okan Çabalar, Güven Kıraç, Ahmet Mümtaz Taylan, Ersin Korkut, Erdem Baş, Mahir İpek, Ekin Türkmen and Ata Demirer. Adapted from John Guy's "My Heart is My Own: The Life of Mary Queen of Scots," "Mary Queen of Scots" tells the story of Mary Stuart. After her husband's death, the 16-year-old French Queen, Mary Stuart, returns to her homeland, Scotland, and attempts to overthrow her cousin Elizabeth I, Queen of England. Directed by Josie Rourke, the drama features Margot Robbie, Saoirse Ronan, Guy Pearce, David Tennant, Jack Lowden, Joe Alwyn and Gemma Chan. "Escape Room," directed by Adam Robitel, stars Deborah Ann Woll, Taylor Russell, Tyler Labine, Logan Miller and Adam Robitel. Written by Maria Melnik and Bragi F. Schut, the film focuses on the escaping efforts of six strangers who find themselves in a survival struggle. Directed by Lisa Arnold, "Camp Cool Kids" tells the story of a shy young boy who faces his fears and joins new adventures at a summer camp. It stars Connor Rosen, Logan Shroyer and Michael Gross.